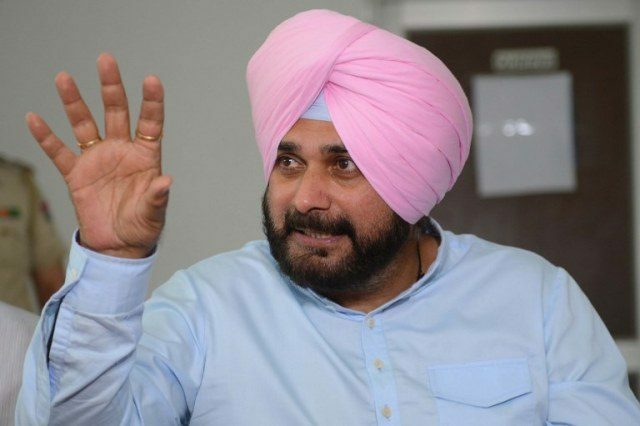 Navjot Singh Sidhu, an Indian cricketer turned politician and incumbent Indian Punjab cabinet minister, has been asked to leave a popular television comedy talk show after comments he made on the Pulwama attack. He will be replaced by Archana Puran Singh on The Kapil Sharma Show. Sidhu, who also attended Prime Minister Imran Khan’s swearing in ceremony last year, has often expressed his desire for better relations between India and Pakistan. He was also part of the Indian delegation that attended the groundbreaking ceremony of the Kartarpur Corridor. “Nations cannot be held responsible for the dastardly acts of terrorists. The terrorists do not have deen or mazhab (sect and religion). There are good, the bad and the ugly. Every institution has them. Every nation has them. The ugly need to be punished. But individuals cannot be blamed for the dastardly act,” the former cricketer had told the media. On February 14, a suicide bomber killed 46 Indian paramilitary policemen in Indian-Administered Kashmir. Tensions are high in the country and Sidhu’s comments were not taken well. People called for his removal from the show on social media. “His remarks have not been taken kindly by most. Also, the channel and the show were getting dragged into the unwanted controversy. This is when the team amicably decided that Navjot make a distance from the show. The team has already shot a couple of episodes with Archana,” a source told Indian Express. Recently, Bollywood actor Shabana Azmi and her husband, lyricist-composer Javed Akhtar, said they would no longer be coming to Karachi to the attend a festival being held to honour Kaifi Azmi, Shabana’s father in light of the attack. This is playng politics with the sport of cricket, And sindhu popularity as a crickiter is getting mixed with shows pàpularity as a TV show. Both need to test theire without the other. It is good they are parting their ways. Indian should agree with him because he told the truth and should support him in this hard time and stand with him. He just want peace. It is hard to digest truth. It is true for both Pakistani and Indian nations. Actually some racists in India want to spoil the situations in both countries. Indians politicians are also getting benefits from such tension. So what’s wrong with it. Why you Indians trying to made him against pakistan. His statement is not just in favor of pakistan but something really impartial. Bring a better replacement if required for Mr. Sidhu. Sidhu has spoke the truth. Indian are emotional people , they are unaware of what is happening in the world , what they know is their media , who always want to hide the reaction to their brutalities in occupied kashmir ( they are also human and you people provoke their anger) under the ambit of blaming Pakistan for it. I support Navjot Singh Sidhu for giving up a brave face against radical and extremist elements that are there in all parts of the world, we must understand that blaming is very simple but without proof this blame game will only be an extension of the list of allegations that india puts against pakistan, well i can forget and forgive anything but i can never forget the blood of the 150 innocent children of the army public school peshawar, first india should clarify that then we could talk on other instances, Sidhu there are very few like you who have the guts and courage to stand against tidal waves…… I Salute your bravery and wish i could be of any help to you in this time of distress, stay tall. Shame on Indians hope Indians will get freedom and democracy soon.